Communitech has again deployed its property watch remote surveillance system to watch over livestock and assets when owners are away. Communitech installed its new version of the property watch IP camera system during the last week in February, 2007 for property owners in the Noosa hinterland. According to Communitech, the networked video system has been designed for robust conditions, and delivers quality images over broadband to property owners far and wide. With the Sony SNC-RZ25P IP camera providing high quality images, the owner can log on to the camera and control the PTZ functions to check on livestock, water conditions in troughs, safety of property, general weather conditions and more. Communitech has designed the system with flexibility in mind, with a heart beat function and the ability to remotely re-boot the system; it is not necessary to revisit the camera to re-start power if a re-boot is required. 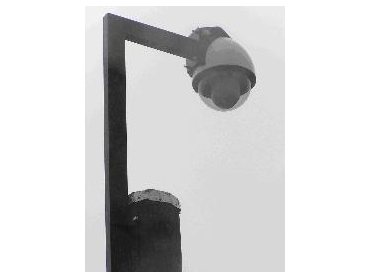 IP-based cameras are the new standard for surveillance and security cameras, with high quality images at resolutions far greater than any CCTV camera can deliver. Communitech has been involved in many of the larger installations including business, councils, property owners and large building sites. The recent Greenbridge time lapse images captured by the camera watching over the Brisbane river was also installed by Communitech. This project too involved challenges such as a tricky site with no power and limited access. Solar, camera, recording, wireless and more were all achieved quality images were delivered for promotional and security.